To cross reference a Enerpac, Power Team or Simplex Model Number to the matching BVA model number, please select the brand, enter the product number and click on the Go button. Note: Some OEM and custom specifications may be available that are not presented in these charts. 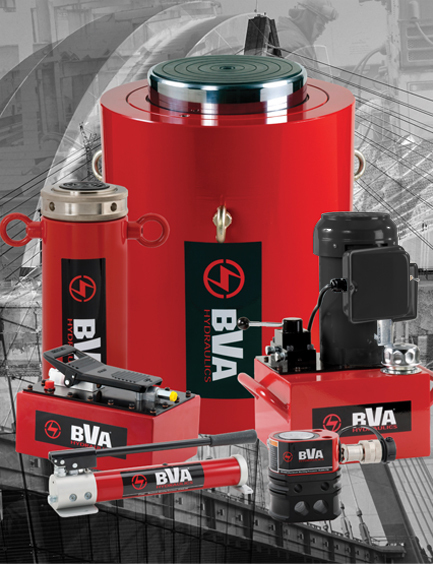 BVA ® is a registered trademark of SF Companies. Enerpac ® is a registered trademark of the Actuant Corporation. Power Team ® is a registered trademark of SPX Corporation. Simplex ® is registered to Templeton, Kenly & Co., Inc.